Committed to presenting the most interesting selection of emerging artists whose prices are still affordable, BERLINER LISTE and KÖLNER LISTE have been enlightening the art scene for over a decade. Looking at recent editions only, we can find several artists whose first greater public appearance was at our fair and today they are true examples of success. What these authors have in common is their persistence in art production and presentation, and high quality of pieces they create. They have all entered the market as emerging artists, but today they are close or even at the peak of their careers, receiving acclaim from both buyers and critics. One of the DISCOVERY ART FAIR's favorites is definitely a wood sculptor, Edvardas Racevicius. In the past years he became a regular exhibitor at our fairs in Berlin and Cologne, today represented by a number of established galleries throughout Europe. To this day, Edvardas did not stop producing art, showing no oscillation in quality. Next, Katharina Arndt, a former exhibitor, first presented her "SHOP THE PAIN AWAY" artwork series at our Cologne fair in 2015. Earlier this year, the same piece was a part of a larger exhibition, hung next to the Andy Warhol's "Uncle Sam". Spanish-born Berlinian, Emilio Fornieles exhibited in Berlin in 2014 and in Cologne the year after. Recognized by the Nobel-laureate Jose Saramago, he is an example of a true artist who lets his art grow and speak for itself, while acclamations naturally follow. 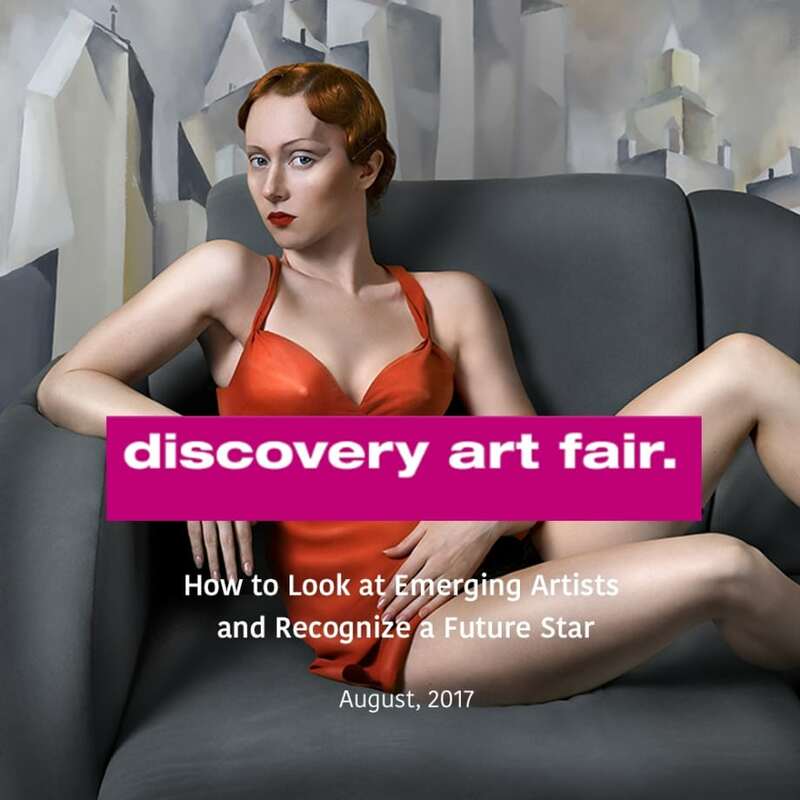 Finally, Katerina Belkina is a regular at European art fairs, having shown her work in Berlin in 2015 and in Cologne in 2016. Her photographic style is resemblant of realism in painting, highly aestheticized and filled with numerous art-historical and cultural references. She was the nominee of the prestigious Russian Kandinsky Prize and a recipient of the Hasselblad Masters Prize for fine art photography. As examples, these four artists can serve as inspiration for all the collectors passionate about emerging artists today, proving that it is possible to uncover a future success if you search well enough. During the search, focus on the quality of work and not necessarily the name. Stay aware of your own collection or a collection you wish to build, and imagine how a particular piece would fit in it. Envisage the potential of your art becoming influential in the future while you curate it. This way, you will not make a mistake, even if one of your emerging artist discoveries doesn't become exceedingly famous.